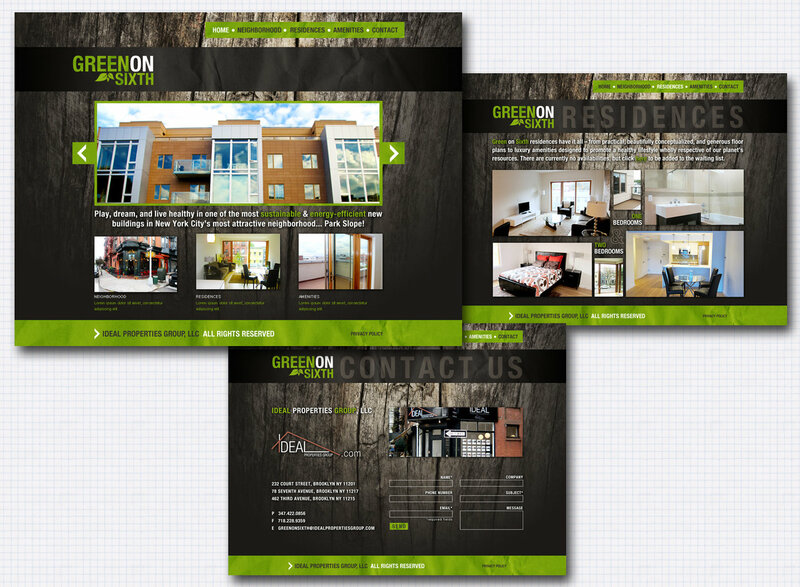 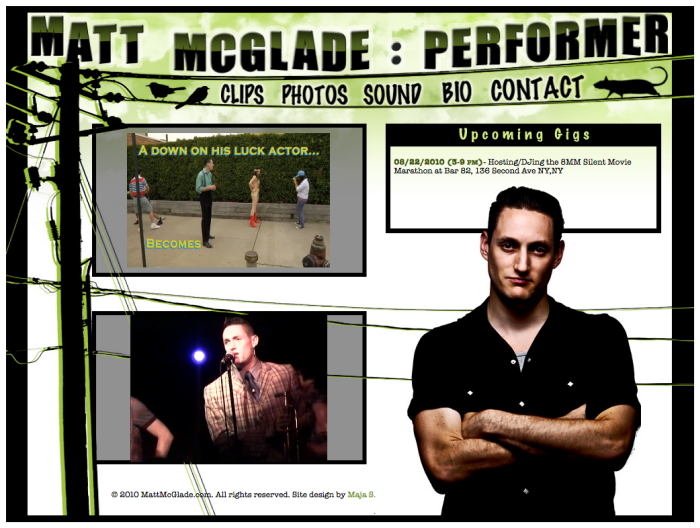 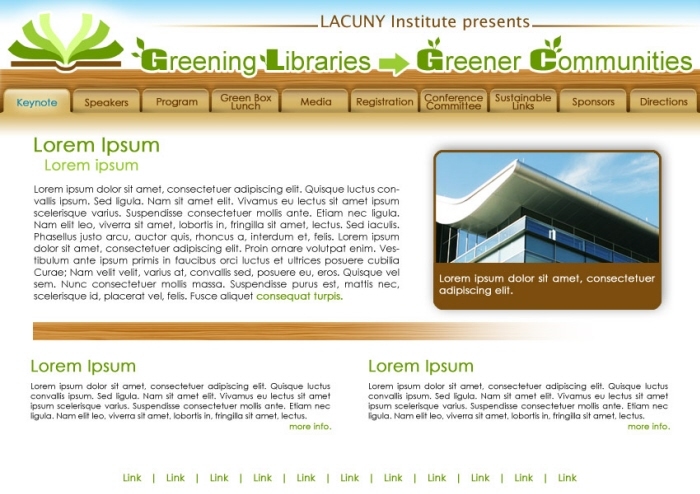 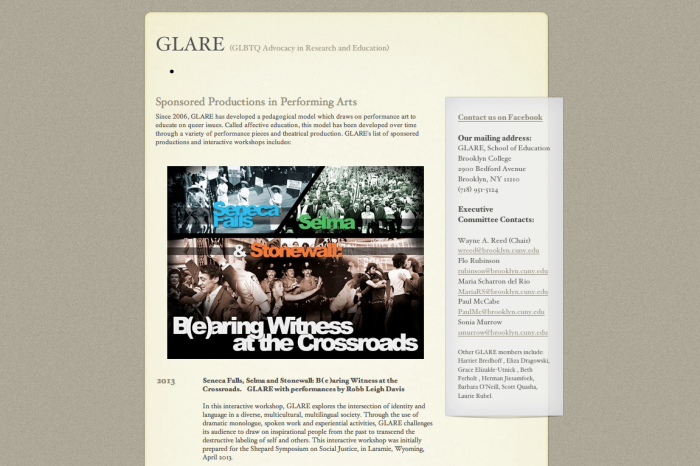 LACUNY Event Page Mock Up - Design for the committee "Greening Libraries=>Greener Communities" . 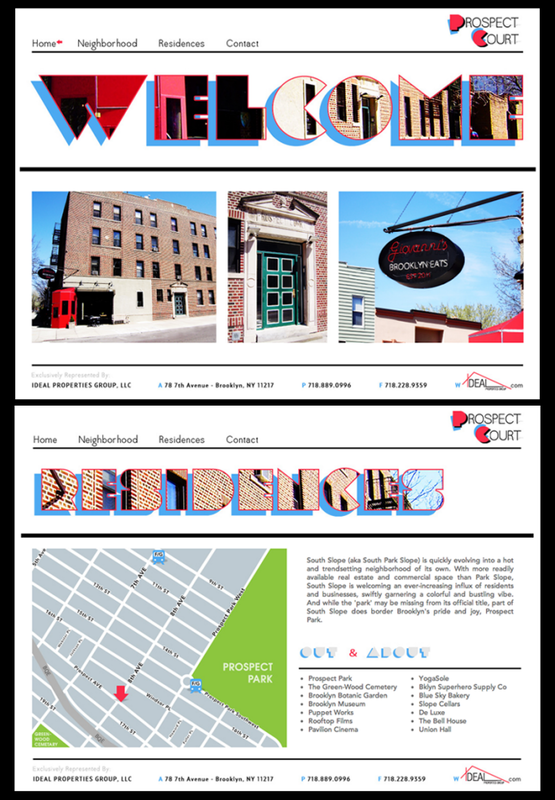 New Development site for Ideal Properties Group, LLC. 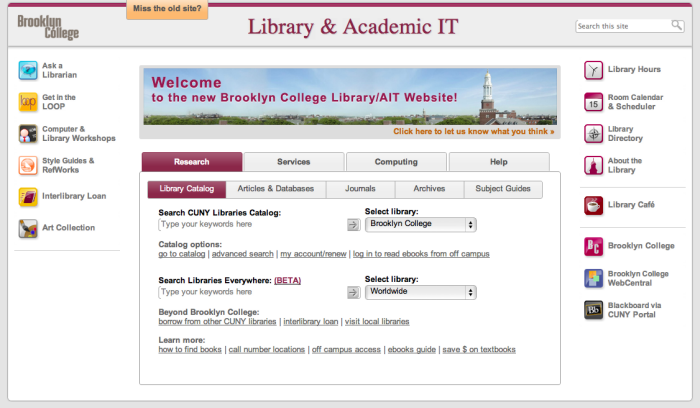 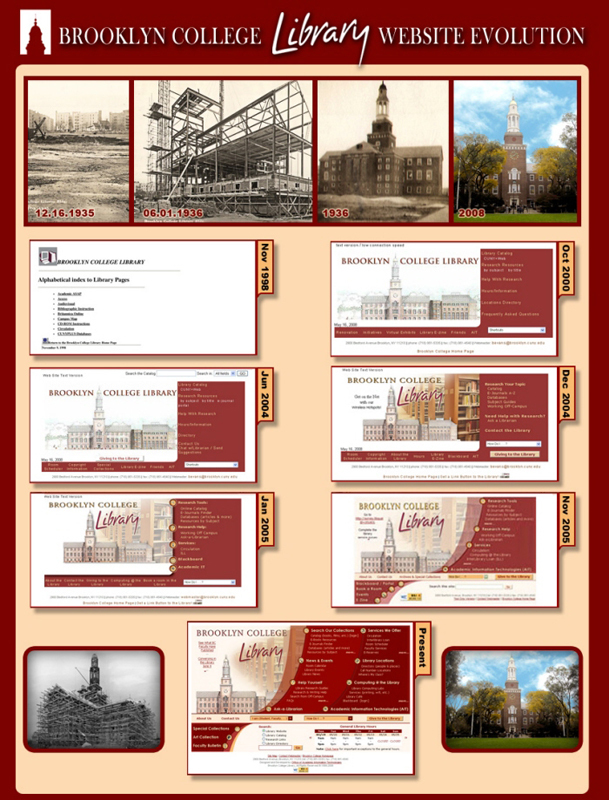 Brooklyn College Web Page - Web page highlighting the evolution of the Brooklyn College Library website. 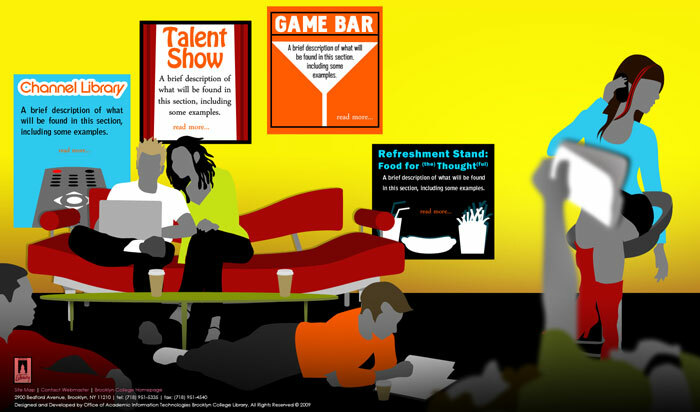 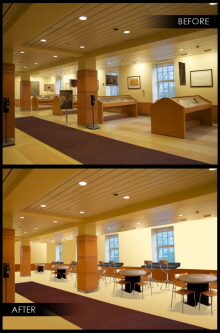 Brooklyn College Lounge Mock Up - Unfinished, work in progress.